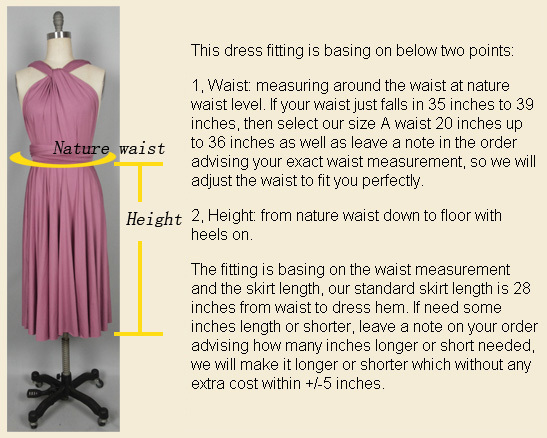 Chiffon bridesmaid dresses: above knee length, knee length, mid calf length, tea length, full lenth. 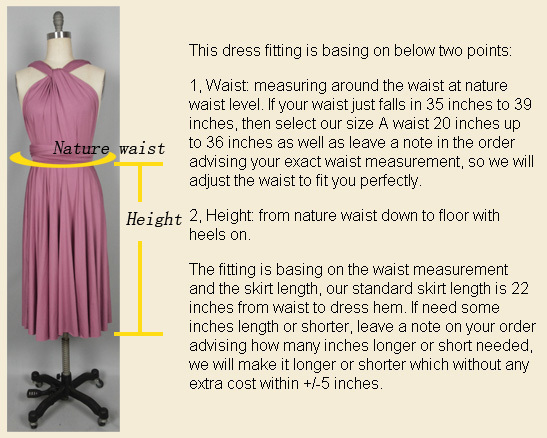 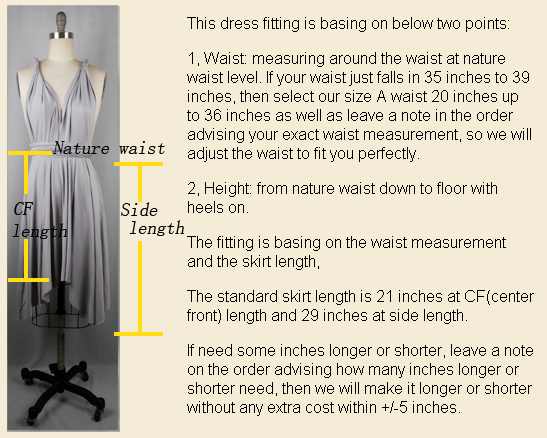 Infintiy dress: all infinity dresses fitting is basing on two points: 1, waist measurement, 2, skirt length. 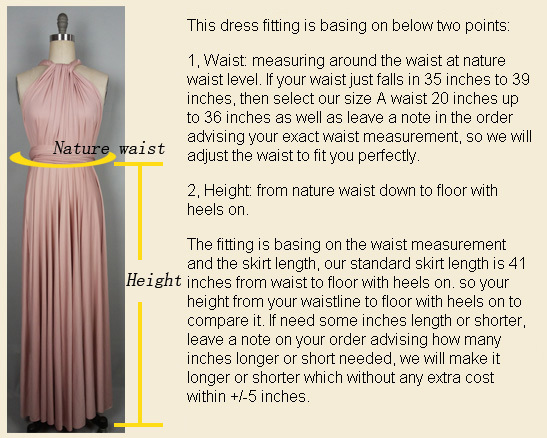 Chiffon bridesmaid dresses: available size from 00 to 32 as below chart. 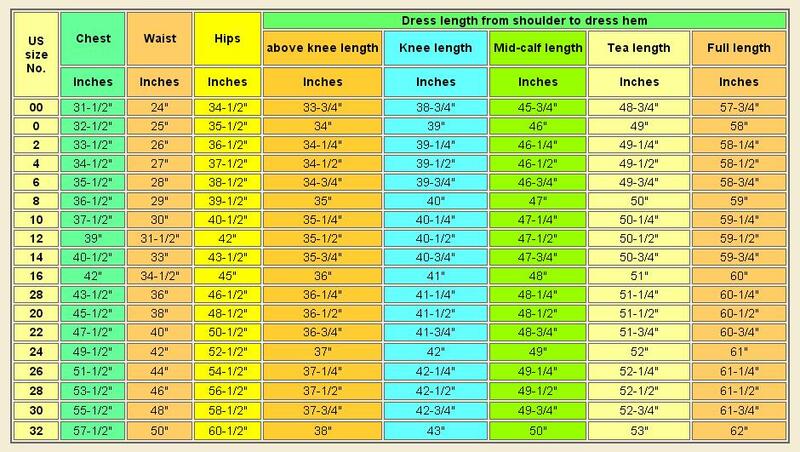 lengths: above knee length knee length mid calf length teal length full lenth.